Learn to screen and see properties with Feng Shui vision! 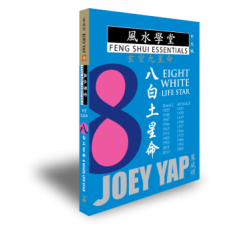 From East to West and across various continents, Chief Feng Shui Consultant at the Joey Yap Consulting Group, Joey Yap, has engaged with some of the most respected names in property development. These high profile corporate and domestic Feng Shui projects span across the United Kingdom to Australia and to almost every country in South East Asia. He reveals in this book how to screen properties and determine their Feng Shui Quotient (FSQ) just by observing what is around the area and using Landform (Luan Tou) Feng Shui techniques. How do you know if a property is surrounded by good Qi? Are all houses built near T-junctions bad? What kind of environmental features are considered positive in Feng Shui? What is the importance of Mountain and Water in Feng Shui? 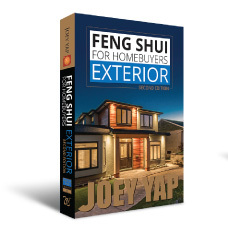 All these questions and more are answered in Feng Shui for Homebuyers - Exterior. Why buy a property that has Feng Shui flaws which require fixing, when you can buy a property that is already good and simply requires improvement? Why buy a property that needs costly renovations simply to rectify the Feng Shui flaws when you can buy one that needs no renovation at all? 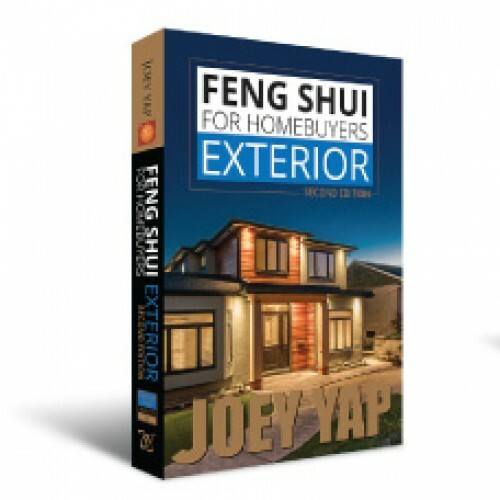 Complete with colour illustrations, photographs and aerial images, Feng Shui for Homebuyers - Exterior has been specially written to help house buyers avoid properties with negative Feng Shui and select properties with favourable Feng Shui, utilising methods and techniques synthesised from Landform Feng Shui and classics like Ru Di Yan (Entering Earth Eye Classics). 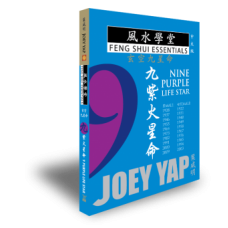 Whether you are seeking a suitable plot of land, buying a ready built landed property, or evaluating a new development, this book provides you with essential guidance on how to identify a property with good Feng Shui. Introducing the benefits of having Feng Shui knowledge when selecting a new property for purchase or rent. 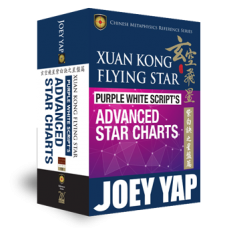 Learn the nature of Qi, basic geography, the Ba Gua, Trigrams and how to take directions in your home. A focus on the land around your property and how they will affect your premise. Checking your building, internally, as well as a Feng Shui examination of common concerns nearby. Busts open some oft-propagated 'old wives tales' that includes plants, paintings, décor, and wall colors. Practical approach to go about choosing your property and applying the Trigrams to the house plan.